Property 7: SPRING-SUMMER-FALL 5 Star Special Rate 4 Bdrms Pool/Spa/Zip Line/Hike/Bike/MORE! Property 14: Cabin rentals near Stowe, Smuggler's Notch, breweries and hiking trails. Property 17: Magical Log Cabin in the Woods - All Pets Welcome! Property 18: The Private Fairytale Cabin of Your Dreams in Stowe! Featured in VRTravel! Property 19: Log Cabin, Organic, Holistic, Living with Nature! the Real Vt - Pets Welcome!!! Property 20: Dream Log Cabin, Yet Close to Everything! Dogs Welcome!!! Property 21: Jeffersonville Cabin - 2 Mins to Smugglers Notch! 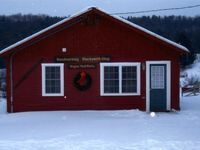 Property 22: Cabin rentals near Stowe, Smuggler's Notch, snow machine and hiking trails. Property 26: The Perfect Vermont Real Log Cabin House. Property 29: NEW LISTING! 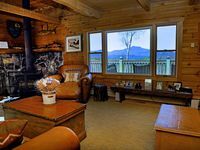 Serene luxury cabin with wood stove & deck! Property 32: Amazing Mountain Views!